In 2016 I assisted this client with an entire rebranding of their business. This 'for sale sign' is one of the many pieces I designed to create a cohesive look throughout all their marketing products. This wasn't the first 'for sale sign' I created for this client, as I had worked out of the Sutton Realty Vancouver office in 2011. 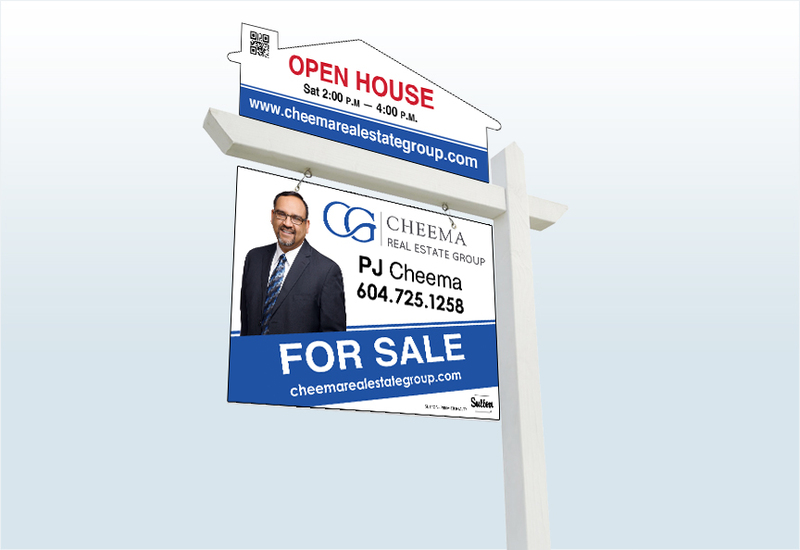 The client now goes by 'Cheema Real Estate Group' and offers real estate services primarily in Surrey, BC and the surrounding area.